Restoring the Past No project is as potentially inspirational as a Holocaust Torah Project. It symbolizes the resurrection and revival of the Jewish people as it survived though one of the most difficult and horrific periods of our history. These projects highlight the need for Jewish continuity as no other and serve as a living testament to the world, that with our Torah we can endure even the greatest challenges. 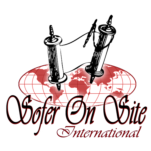 As in a New Torah Project, individuals are enjoined with the help of one of our sofrim to re-ink the letters that have become unfit for ritual usage. By rehabilitating and fixing these letters with the sofer, each individual takes part in the rebirth of this precious inheritance. We Jews have always been taught that that which is old or ancient does not deem it as useless or something to be discarded, on the contrary, it is our duty and responsibility to as a people, community and individuals to see to it that our heritage be rejuvenated so that our youth may learn to treasure and partake of its wisdom and beauty. A Holocaust Torah Project will include a community Torah scribing experience as well as many educational programs and presentations. Such a project can also be used for a wide range of fundraising initiatives. We are all the guardians of these precious scrolls, to upkeep and share with the next generation. Be part of protecting our history while plowing the seeds of our future in this unique and marvelous project.